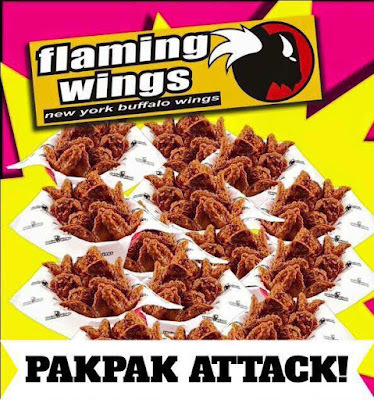 Check out Flaming Wings Katipunan Unli Wings Promo! 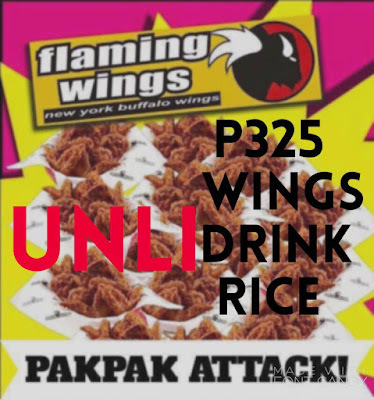 Enjoy unlimited wings, rice, and drink for P325 only from 3pm to 6pm at Flaming Wings exclusively available at Katipunan branch. Promo runs from July 24 to 28, 2017. All the wings and rice you can eat, all the iced tea and lemonade you can drink for only P325. *Ask our crew for details. This promo may not be used in conjuction with other promos and discounts. For more info, please call (02) 929 6900.